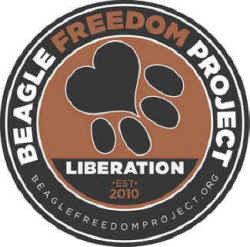 Beagle Freedom Project began in December 2010 when Shannon Keith received information that beagles who were used for animal experiments in a research lab were to be given a chance at freedom. Our mission is rescuing and finding homes for beagles used in laboratory research. Beagles are the most popular breed for lab use because of their friendly, docile, trusting, forgiving, people-pleasing personalities. The research industry says they adapt well to living in a cage, and are inexpensive to feed. Research beagles are usually obtained directly from commercial breeders who specifically breed dogs to sell to scientific institutions. Here at ARME's Beagle Freedom Project, we have been extremely busy this summer. We have had a couple of large rescues in the last 2 months and we are working on some amazing programs that will continue educate the public about animal testing and make it easy and fun to purchase cruelty-free products! Check out our rescues up for adoption. We have some great guys that deserve the best homes possible! 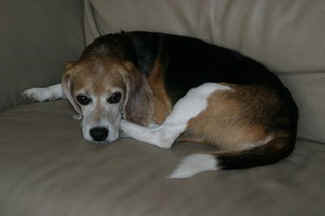 MUPPET is one of our "Spanish 40" rescues from a laboratory in Spain. He loves his new life and is just waiting for his forever home. He is house-trained already, great with people, other dogs and cats. HARRY is a MAJOR snuggler! He loves love and enjoys hanging with his buddy, Kipper, in his foster home. 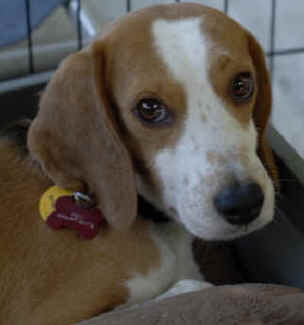 Harry came from a laboratory in San Diego in May and still needs a little help in the potty department, but his snugges will win you over! Besides being incredibly handsome, FREDO will definitely give you a reason for being. He came from a laboratory that traumatized him, so he is still incredibly fearful. Luckily, his great foster momma is getting him out of his shell, but it is going to be a long, slow process with Fredo. He needs someone with patience and another dog he can hang with and learn from.